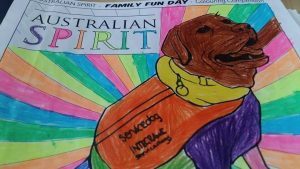 Australian Spirit is thrilled to announce that our November 10 Family Fun Day at the Gosford Entertainment Grounds also offers the unique opportunity to mingle with visiting ‘VIP’ (Very Important Pooches) Integra Service Dogs. 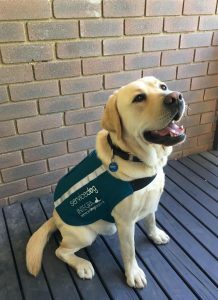 Learn first hand about the often life-saving work they are doing with our recovering defence force veterans and why we are so passionate about raising funds to help bring these canine guardians to the Central Coast. 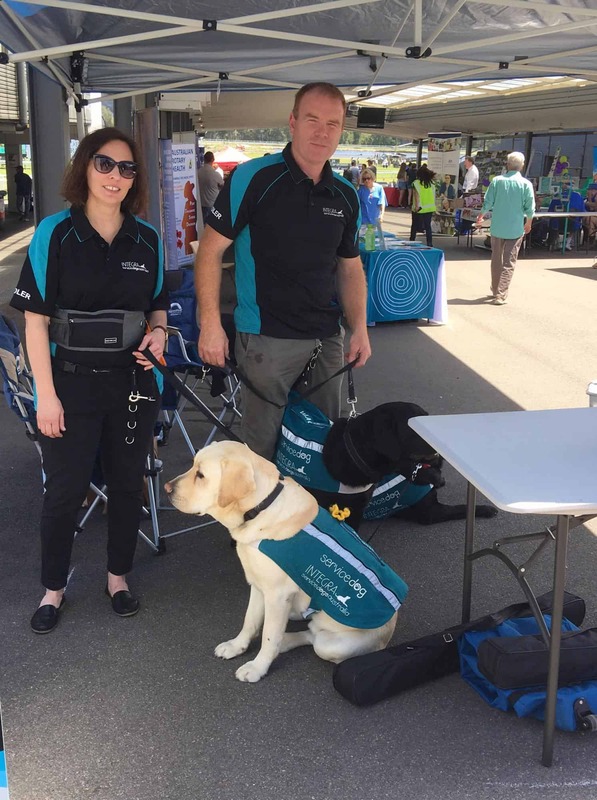 Australian Spirit nominated Integra Service Dogs as the recipient of all proceeds raised by the November 10 Family Fun Day event at the Gosford Entertainment Grounds. 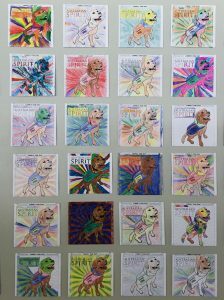 Wouldn’t it be great to see taxpayer’s money invested in training more of these life-saving ‘canine guardians’ to assist more recovering veterans. 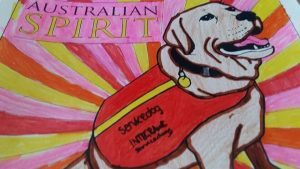 If the government can find half a billion dollars to spend on memorial upgrades and extensions in Canberra, then surely they can find a few extra dollars to provide tangible mental health assistance for veterans and their families across Australia. There is always a light at the end of a dark tunnel when you know where to look. This exciting family fun day event is believed to be the first of its kind in NSW, the event is a vibrant collaboration between Art Studios Co-operative, all local RSL Sub Branches, Brisbane Water Legacy, Vietnam Veterans Peacekeepers Peacemakers Association Central Coast Sub Branch, National Servicemen’s Association Gosford, Homes For Heroes, Australian Light Horse Association and contemporary veterans. 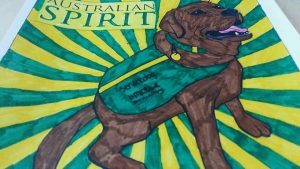 Together we will organise and facilitate the Australian Spirit Event. 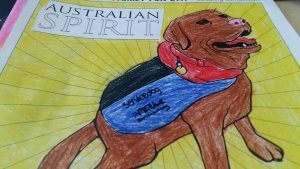 The Australian Spirit Family Day event will commemorate the WW1 centenary and unite our community in support and recognition of Australian Defence Force veterans and their families. The event will be held on November 10, 2018 at the Entertainment Grounds and we anticipate 5000+ to enjoy the action-packed program. Our crowd-pleasing line-up includes jousting, re-enactments, helicopter landing, band, dog and horse demonstrations, tank and chariot displays, chill-out lounge, mounted police, veterans’ services, art exhibitions, music, food, children’s dress-ups and entertainment. 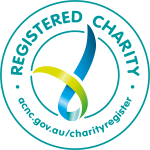 The not-for-profit event will also showcase the invaluable services offered by veteran and community organisations including employment and education, health and well-being, community inclusion and connection. It will create supportive, inclusive networks for veterans and their families, raise awareness of the challenges faced by veterans and the need for continued community support and empowerment of those who have served and still serve our country. We are also hoping it will provide the environment to bridge the gap between contemporary veterans and existing veteran associations, or at least start the conversation. 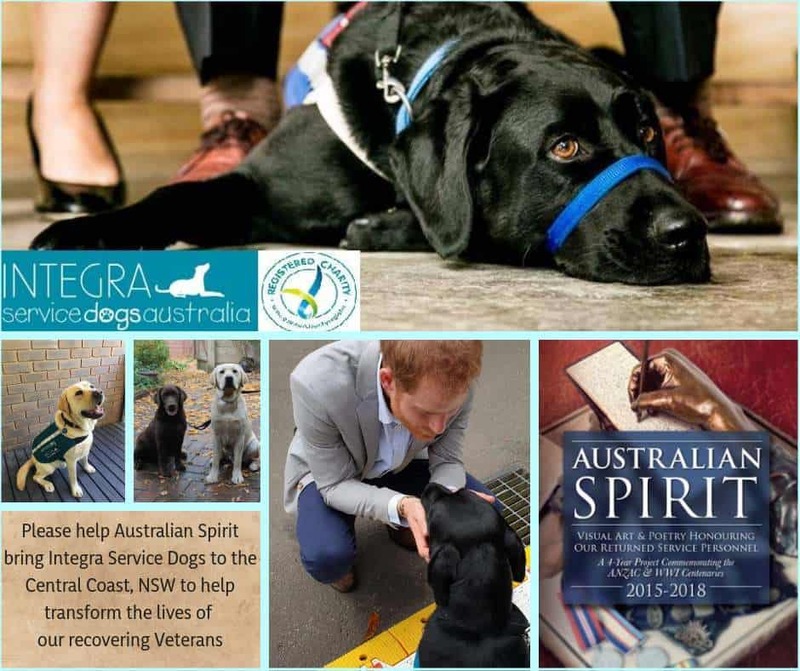 This collaborative event will create an environment that could inspire collaborations for future events within veteran associations and community organisations, working together for the common good of those who serve our country. Art Studios Cooperative also extends a bountiful bouquet of thanks and gratitude to the Australian Spirit Family Fun Day’s generous sponsors: Lisarow Community Branch of Bendigo Bank, The Entertainment Grounds Central Coast, Troy Large Haulage, Skye Media and also acknowledges that this exciting event is proudly supported by Central Coast Council. 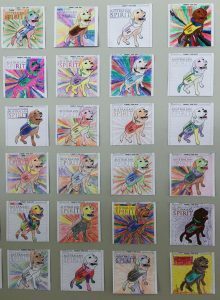 Some of the gorgeous Australian Spirit Family Fun Day colour-in competition entries from Woy Woy South Public School students.